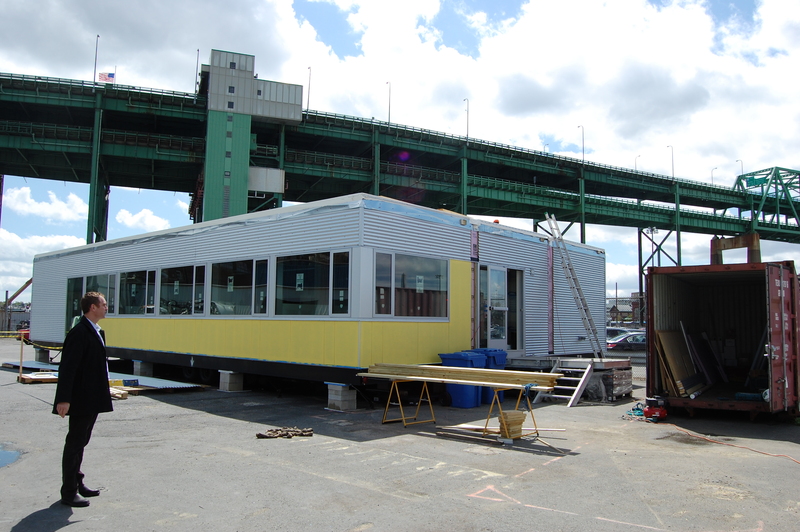 Our new mobile office building for Save That Stuff, a recycling and composting company in Charlestown, has arrived on site. Stack Design Build, our partner on this project, has been managing on-site construction. In keeping with Save That Stuff’s mission, former construction trailers have been repurposed to provide sustainable and efficient office space.